Why is there no sprinkler system? I was there in 2017 for the LeMans Race with the Corvette Museum. So sad such a beautiful building with lots of history, about 860 years if my math is correct. In Paris, if a building is less than 100 years old it is almost considered new! 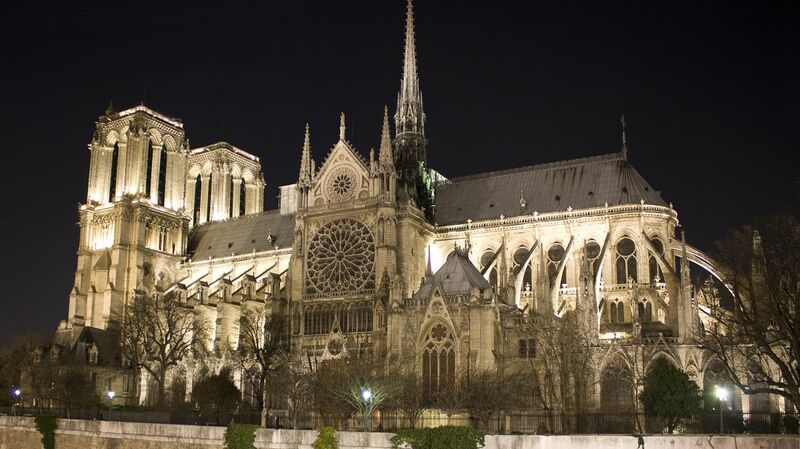 Now, the entire Cathedral is threatened with collapse. I had had the opportunity to embrace the crown of Christ preserved in the Holy Chapel built on purpose by the King Saint Louis on his return from the crusade in Jerusalem, it was exhibited in ND de Paris every Friday, fortunately it will not be reached because it is preserved in the Holy Chapel. had completed the construction in the 19th century with the famous exterior statues. It is a piece of History that goes to ashes. The frame was made of 11th century oak with lead. I'm devastated because it's also Holy Week before Easter! This place "the island of the city" was the foundation of Paris which was called Lutèce at that time, that is to say well before the Middle Ages! I can't believe what I see! Last edited by BKorsaire; 04-15-2019 at 02:35 PM. Iconic structure, priceless and irreplaceable artwork, why not throw a sprinkler or two in the place? ND spokesman " everything is burning, nothing will remain from the frame"
That is a real shame and loss of history. As a self described historian, this makes me unbelievably sad. I've been to France twice and Tahiti twice. My experience is that if you don't speak French, you're just a second class citizen and everything is downhill from there. Hope there is no loss of life. Sad. I'm glad I got to see it in years past. Glad I had the opportunity to see it a few years ago. That place was an architectural gem. Exactly. So much more than just a church building. Certainly sad to see this land mark destroyed. Please know there are a number of us who feel great sadness with all of France today. Absolutely terrible loss. All things come to an end one way or the other.